Construction of the Canadian Renard diamond project, Québec’s only large-scale diamond mine and the world’s biggest undeveloped source of precious gems, is closer than ever to materialize as Stornoway Diamond (TSX:SWY) revealed it had wrapped up negotiations on a series of financing transactions totalling Cdn $944 million. The agreement with three parties lays out a series of proposed financing transactions for the mine, including US$360 million from the Orion Mine Finance Group, a mining-focused private equity business; C$220 million from Resources Quebec, a subsidiary of the Quebec's investment agency; and C$105 million from the Caisse de depot et placement du Quebec, a large institutional fund manager in the province. According to the company’s website, construction of the mine is expected to begin this year with commercial production set for June 2016. Total planned production is 17.6 million carats, with an average 1.6 million carats per year, yielding potential revenue of about $5 billion, with a cash-operating margin of 67%. 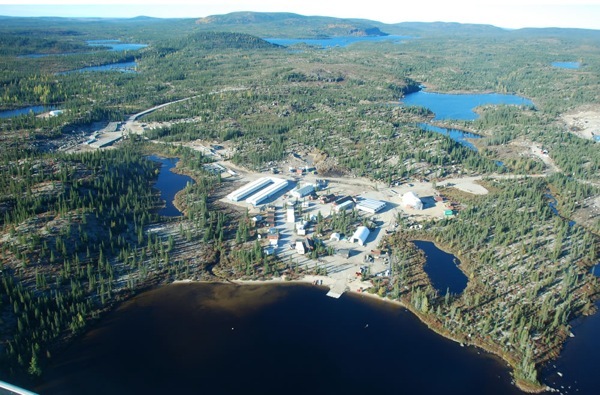 Stornoway Diamond’s updated feasibility study filed in March last year, shows the Renard project is sitting on one of the biggest undeveloped sources of diamonds in the world. Its base case estimate of the net present value of the project is $683 million and an internal rate of return of 20% before taxes and mining duties. But that’s just on the basis of 11 years of definitive reserve mining. Drilling has confirmed there are more diamonds than that under the ground. Way more. Enough, Stornoway has said, for a mine lasting 20 years or longer.